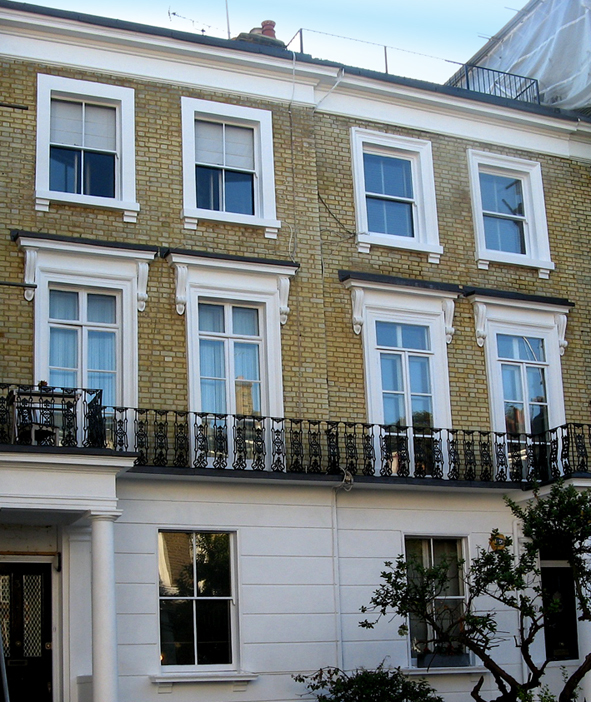 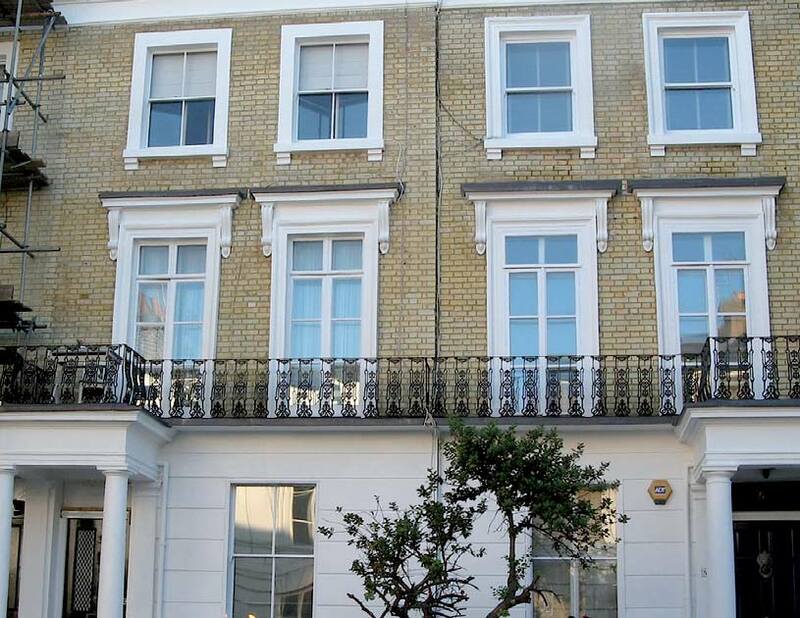 At this archetypal pair of late Georgian terraces, we carried out brick cleaning, re-pointing and extensive stone restoration to the portico, stucco and window surrounds of both houses, along with applying sheet lead to the box gutters, front parapet coping stones and window heads. 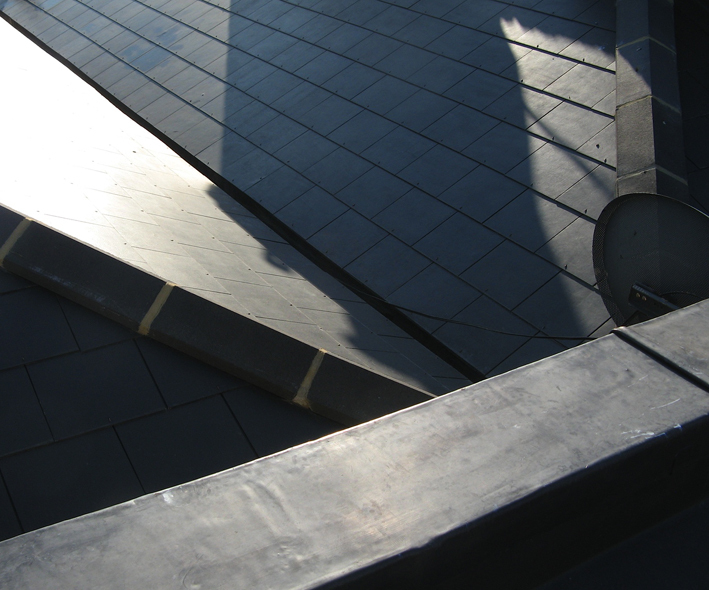 At number 3, the main pitched roof was stripped and renewed with synthetic slate, while the flat roof covering at number 5 was removed and replaced with mastic asphalt. 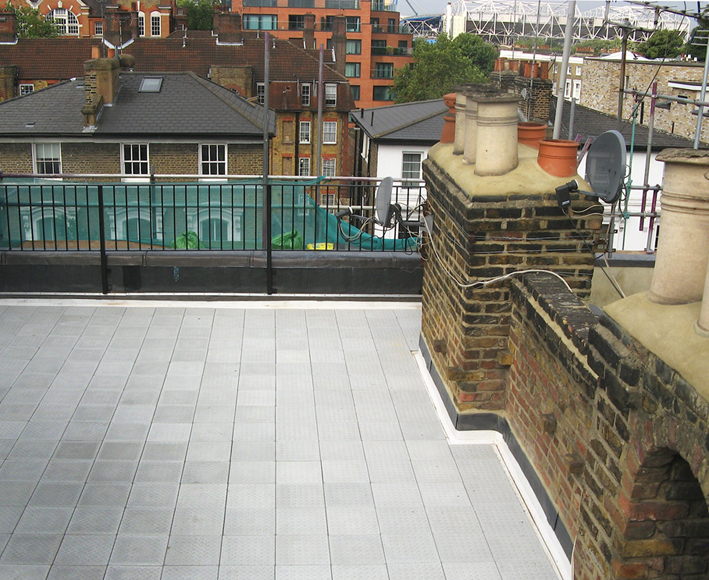 The procedure for both roofs included the installation of thermal insulation to comply with current building regulations.